Sonam Kapoor shoots despite injury for PRDP's special song ! Sonam Kapoor who was recently hospitalized for a respiratory infection , was back on her feet in no time and travelled to Karjat to shoot a special Rajasthani song for Prem Ratan Dhan Payo. The actress who has been shooting for the special puppet themed song for 3 nights in Karjat ,happened to meet with a bad injury last night , as she slipped and fell and ended up hurting her legs and bruising her ankles. 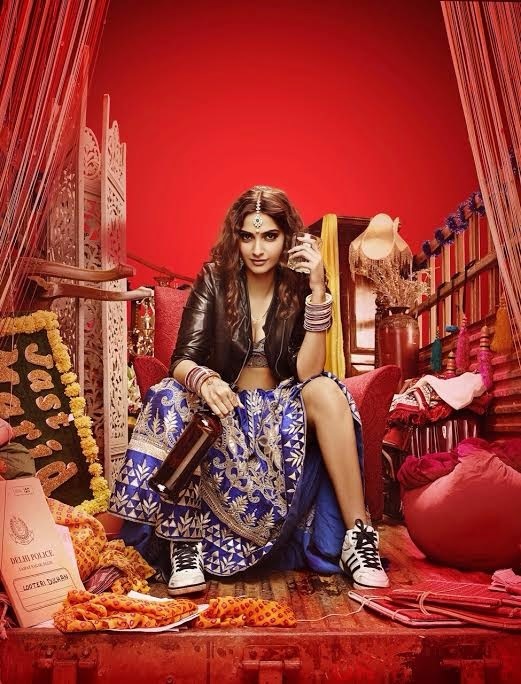 What's more is that the song sees Sonam in a typically voluminous Rajasthani lehenga, with heavy silver jewellery which was exhausting in itself - Despite the injury, the actress decided to continue shooting for the song so that the cast and crew could wrap up on time.